I'm a freelance multi-disciplinary designer. My job is to make you look damn good while clearly telling your unique story. I'm available for UX/UI design, illustration, and front-end development projects of all shapes and sizes. Scroll down to see a few samples, or get in touch with me to discuss how I can help you. NecronomiCards is a horror-themed card game for 2-4 players that I independantly created, designed, and illustrated. The first expansion, NecronomiCards Vol 2, will be released soon. 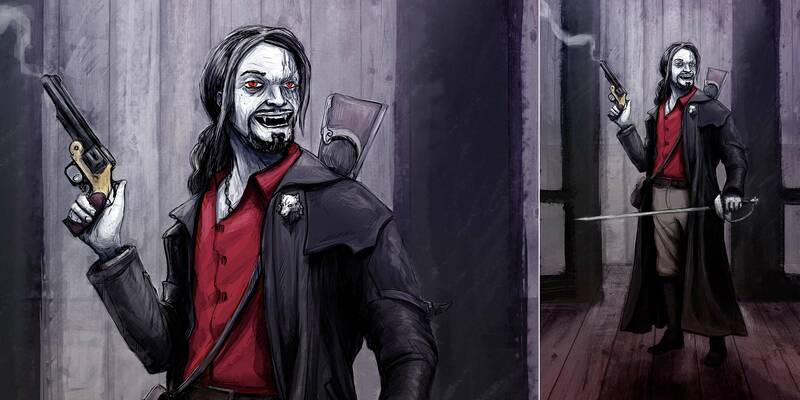 Both volumes were successfully funded on Kickstarter. It can be purchased at over 30 independantly owned game stores across the country and at www.necronomicards.com. 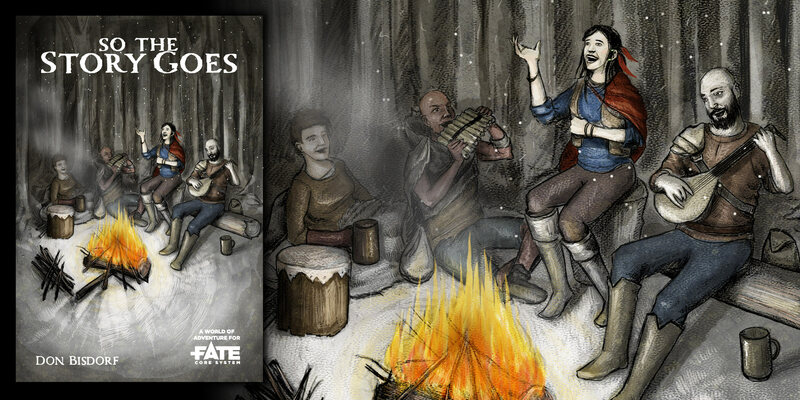 Illustrations and cover design for So The Story Goes, a guidebook for the FATE roleplaying system. I was contracted to create 13 illustrations in all, including the cover, character designs, and maps. Client: Evil Hat Games. Privately commissioned portrait illustration of a long-time Vampire: the Masquerade player's primary in-game character, Badger. 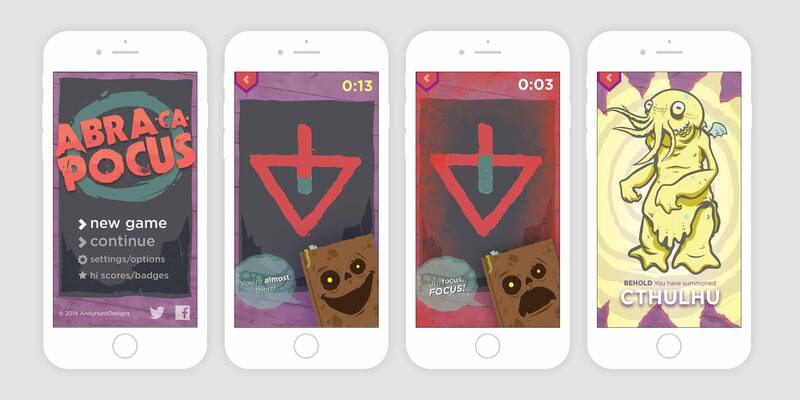 Illustrations and UI design for a proposed mobile game that I created the concept for, Abra-Ca-Pocus. The core concept was to quickly and accurately trace arcane symbols on a touch screen to summon mythological and literary creatures. 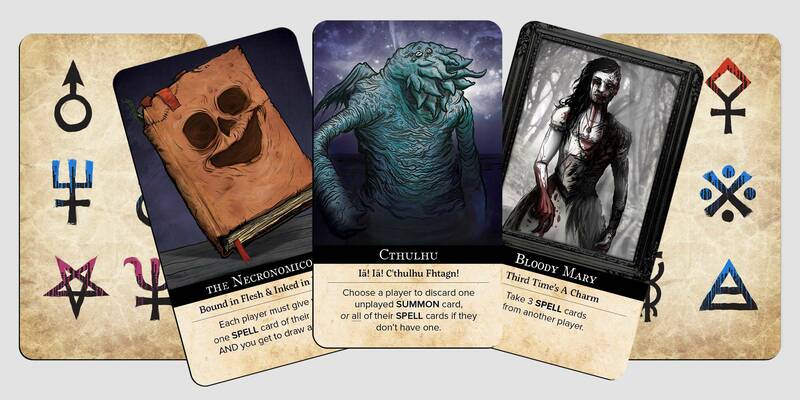 The core concepts of this game eventually evolved into my card game, NecronomiCards. Illustrations for an Adult Swim special created by the comedy duo of Tom Scharpling (writer & executive producer of Monk) & Jon Wurster (drummer for The Mountain Goats and Superchunk). Together they have spent the past 20+ years on the podcast (and former radio show) The Best Show. 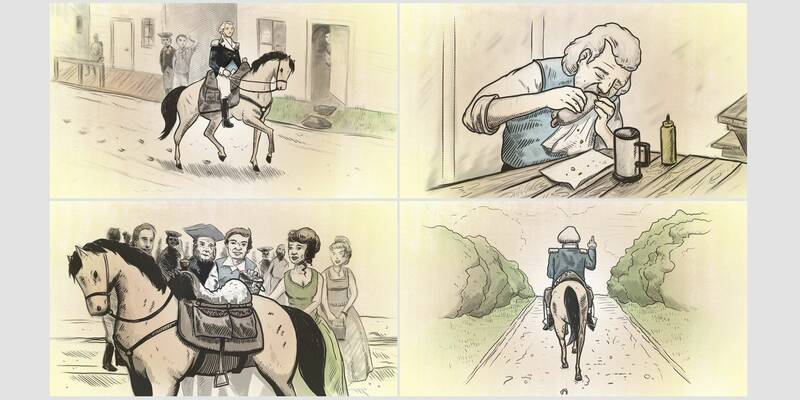 These illustrations depict the history of Newbridge, NJ, a fictional city regularly referenced on The Best Show. George Washington initially considered Newbridge a possiblity for the capital of the United States. While eating a hotdog in town, the jerk locals covered his saddle in lard and filled his saddlebags with earthworms. He responded appropriately. 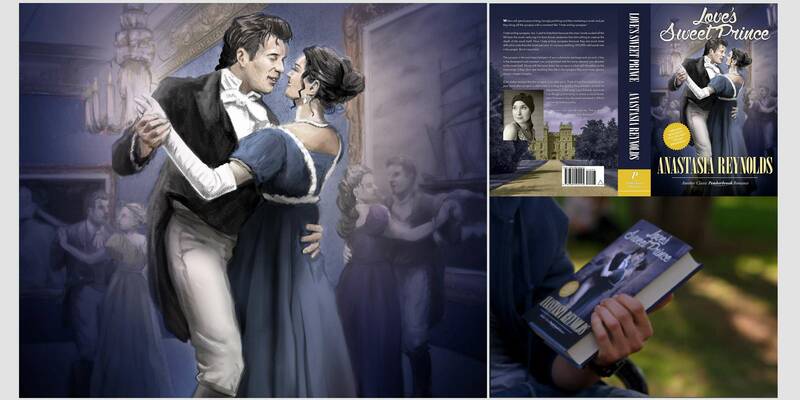 Cover illustration for a prop romance novel featured in Season 10, Episode 6 of the CBS crime drama Criminal Minds, titled "If The Shoe Fits". The book was a featured prop, read by the episode's villain, and later reappeared as an easter egg in Season 11, Episode 13. Merchandise illustrations contracted by the comedy website Cracked.com. I also worked for them for 6 months as an article layout editor, coding and editing articles for the web, providing imagery for them, and writing humorous captions for the imagery. A G.I. 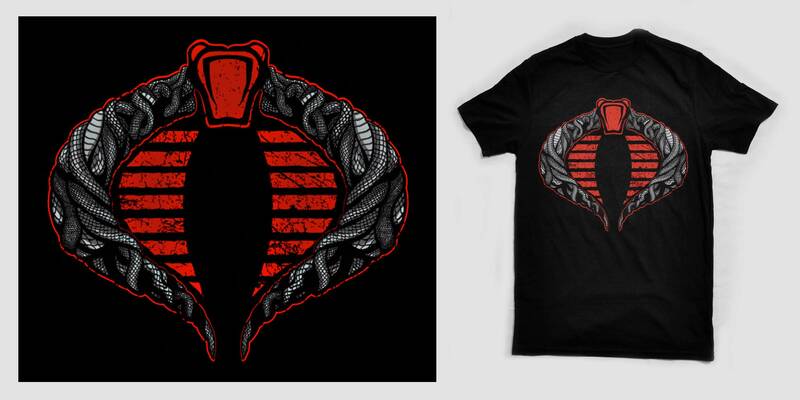 JOE t-shirt illustration officially licensed by Hasbro. 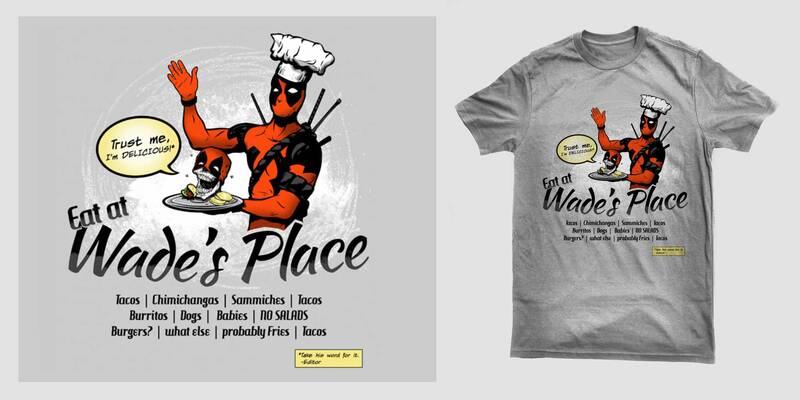 A t-shirt of the lovable antihero Deadpool officially licensed by Marvel Entertainment. I've designed pop-culture inspired t-shirts sold at numerous different websites including Threadless, TeeFury, RIPT Apparel, The Yetee, Design By Humans, and many more. 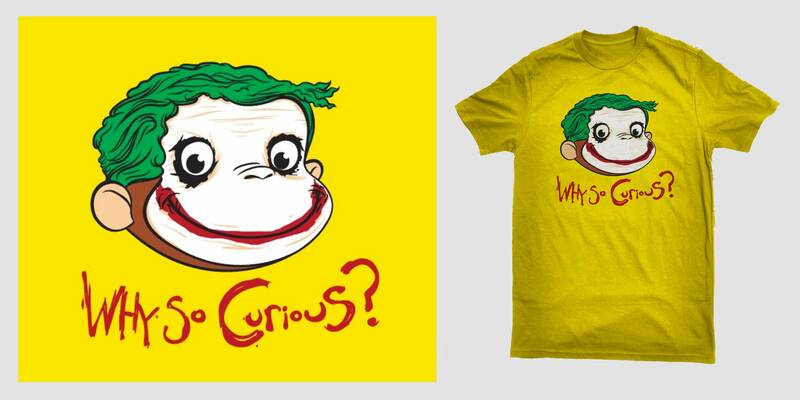 The shirt pictured above, Why So Curious?, is a design inspired by The Dark Knight and the classic children's book character Curious George. 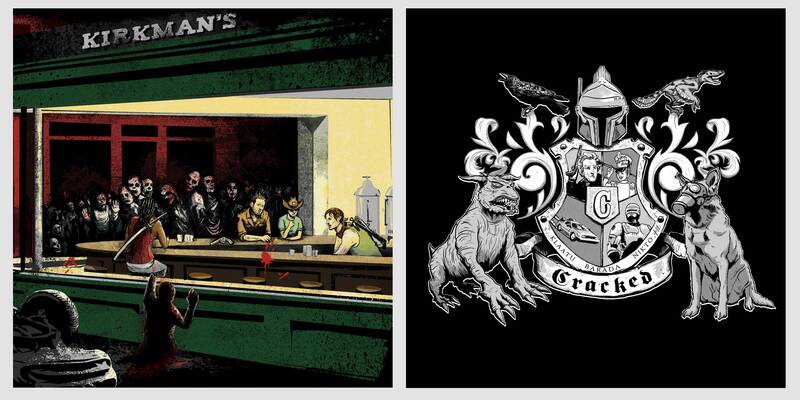 It was originally exclusive to Threadless, and later available at TeeFury and other websites. Narrative illustrations for a web app designed to teach atheletics programs the warning signs and proper treatment of concussions. 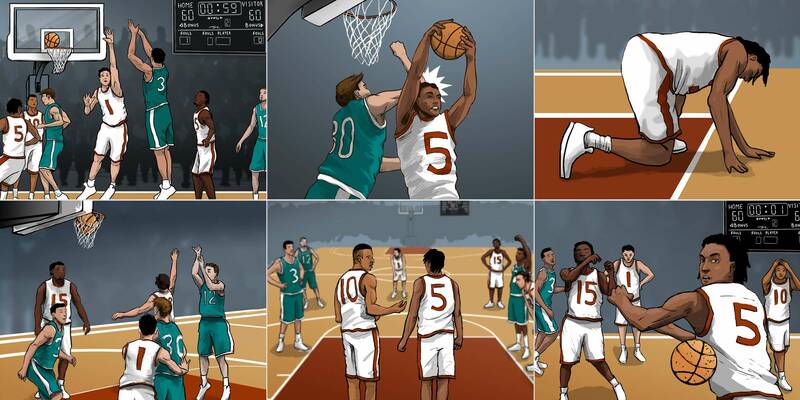 The full project included 20 basketball themed illustrations featuring both male and female teams. 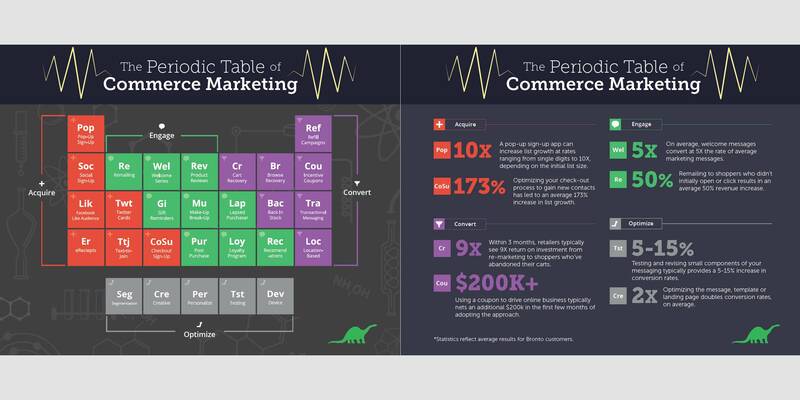 Agency: New Media Campaigns. Client: UNC. Product illustrations for Hillflint Apparel's flagship product, the Mark One Sweater. 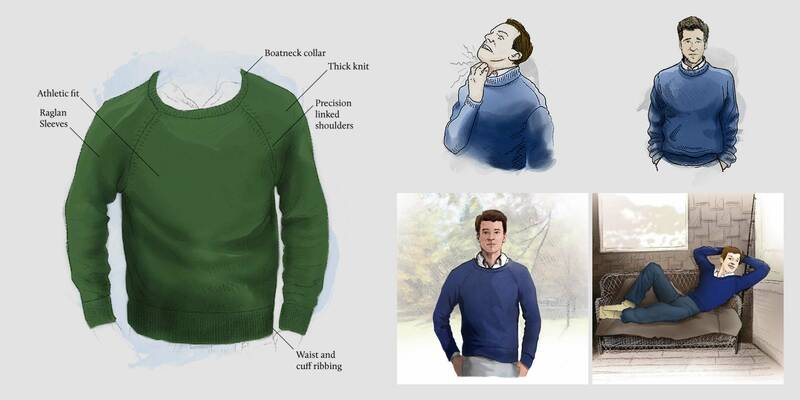 These illustrations were used to market their highly successful Kickstarter campaign, illustrating the properties of the sweater and what makes it stand out above other competitors' products. 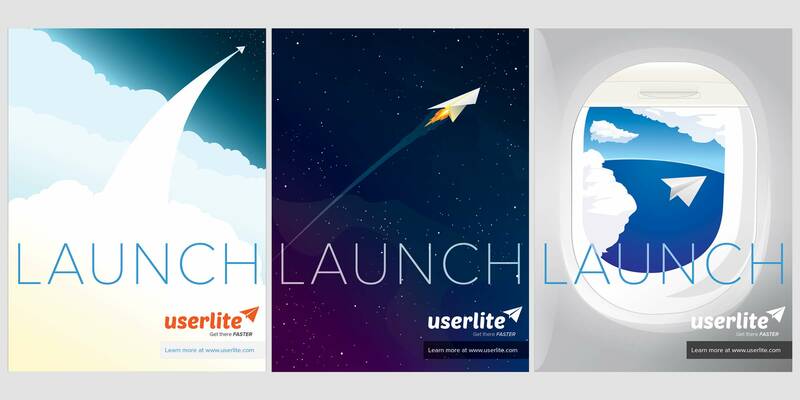 Identity design & branding collateral for userlite, a startup software company. 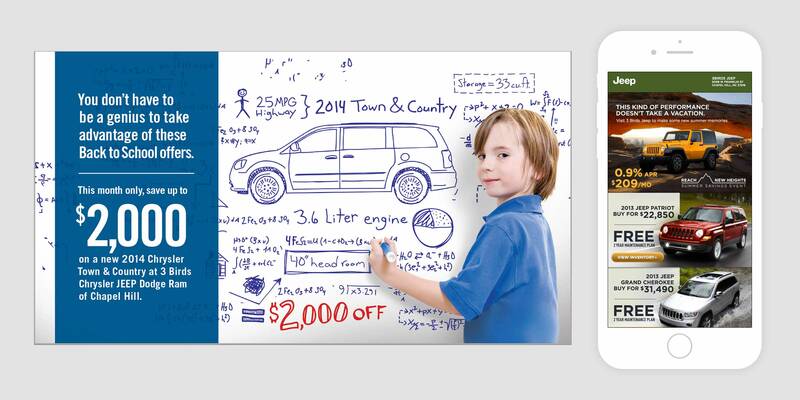 Over the years I've designed countless print and email direct marketing campaigns for various clients, including automotive manufacturers (Volkswagon, Chrysler, Audi, Kia, Jeep, Mercedes Benz, etc), Bronto Software, and Adam & Eve. 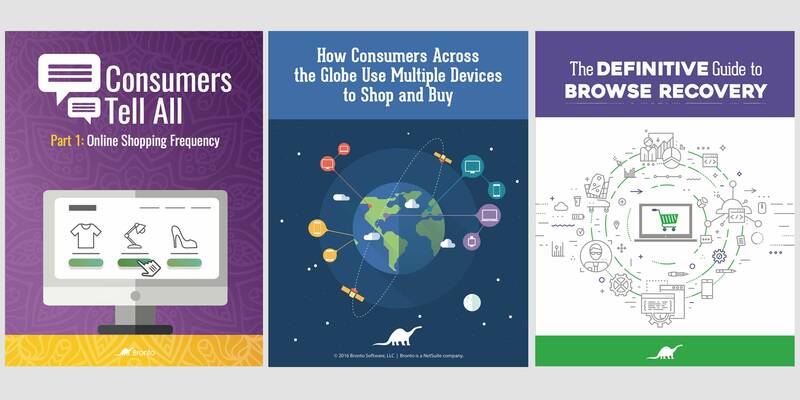 Wordpress-based responsive websites built for Bronto Software. 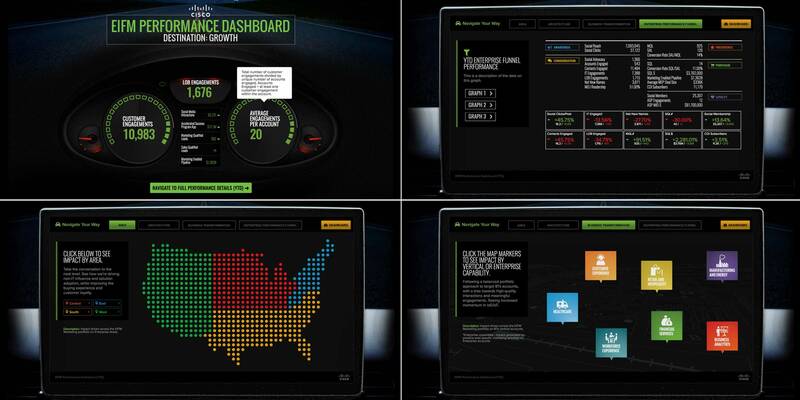 Interactive infographic built for Cisco to be used as an internal reporting tool. Agency: Harte Hanks. 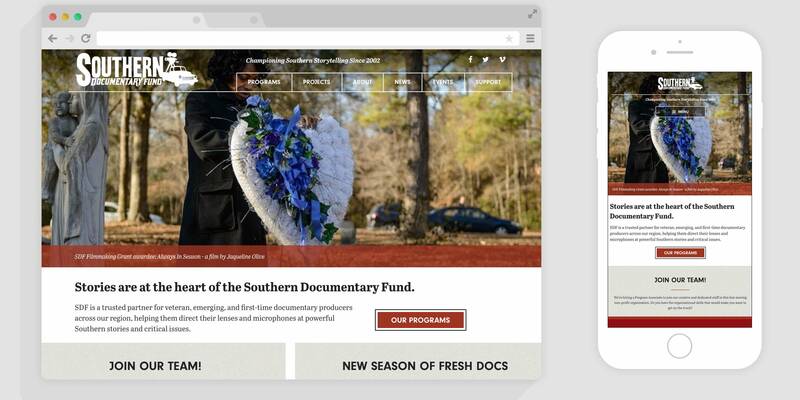 Wordpress website development for The Southern Documentary Fund, a non-profit arts organization dedicated to supporting independant documentary filmmaking in or about the American south. 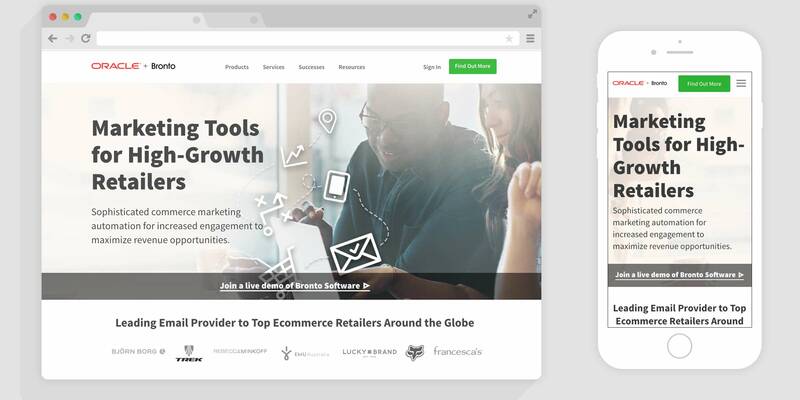 A fully custom Wordpress theme built on the Foundation responsive framework. Features include multiple custom post types and taxonomies, infinite scrolling archive pages, and extensive usage of custom fields. Agency: The Splinter Group. 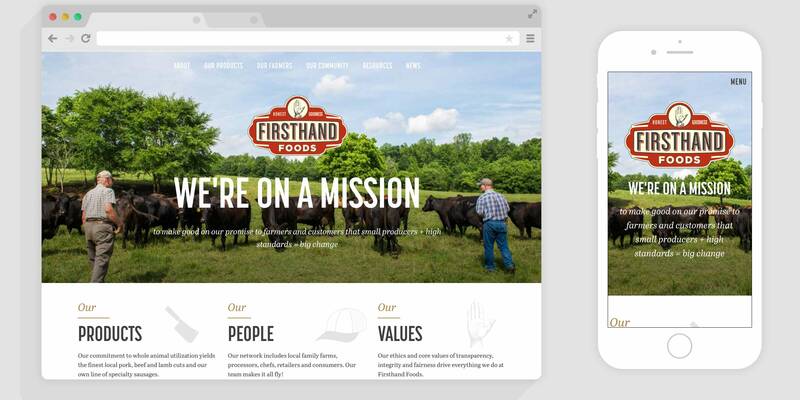 Wordpress website development for Firsthand Foods, a farm-to-fork meat distributor dedicated to supporting local farmers. A fully custom Wordpress theme built on the Foundation responsive framework. Features include multiple custom post types and taxonomies, and extensive usage of custom fields. Agency: The Splinter Group. 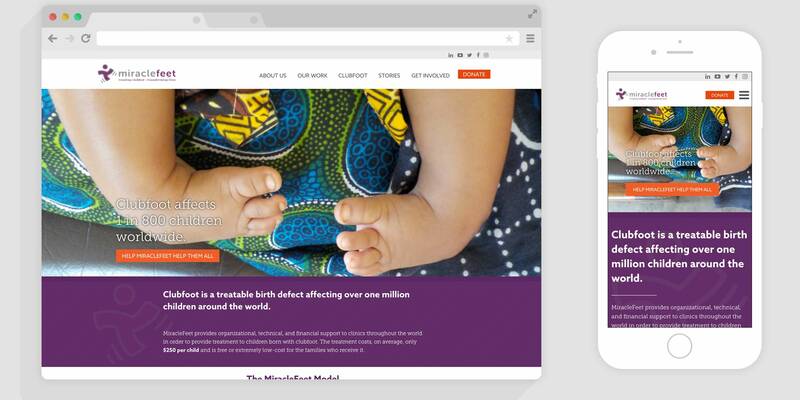 Wordpress website development for Miracle Feet, a non-profit organization dedicated to the treatment of clubfoot in third world countries. A fully custom Wordpress theme built on the Foundation responsive framework. Features include multiple custom post types and taxonomies, interactive maps, and extensive usage of custom fields. Agency: The Splinter Group. 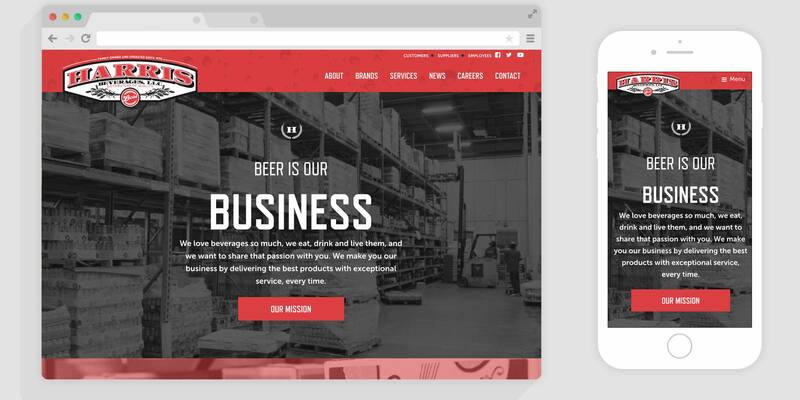 Wordpress website development for Harris Beverages, LLC, a North Carolina based alcoholic beverage distributor. A fully custom Wordpress theme built on the Foundation responsive framework. Features include multiple custom post types and taxonomies, and extensive usage of custom fields. Agency: The Splinter Group. 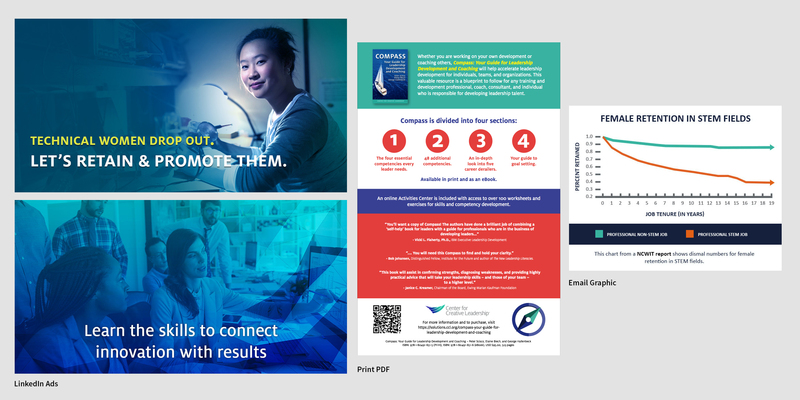 I've designed numerous marketing graphics for The Center for Creative Leadership, including email designs, banner ads, LinkedIn and Facebook ad graphics, and print PDFs. 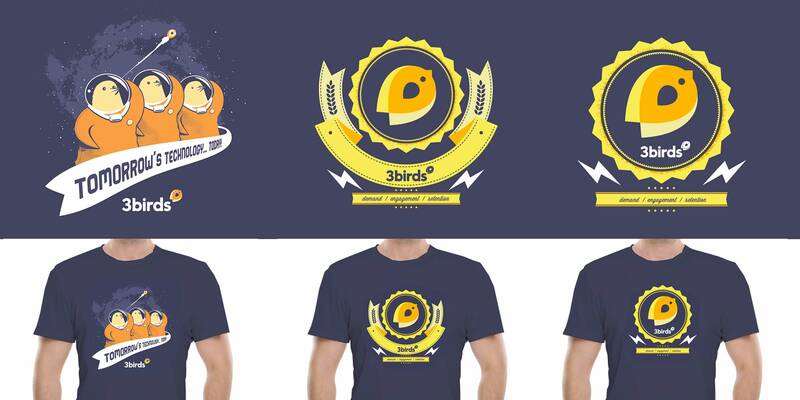 I've designed numerous logos and marks for a diverse range of projects and businesses. Pictured here are designs for the card game NecronomiCards, the mobile game AbraCaPocus, the card game Jelly Man, the hair salon directory Peep A Do, the recording studio Weemus Studio, and Lis Tyroler Photography. 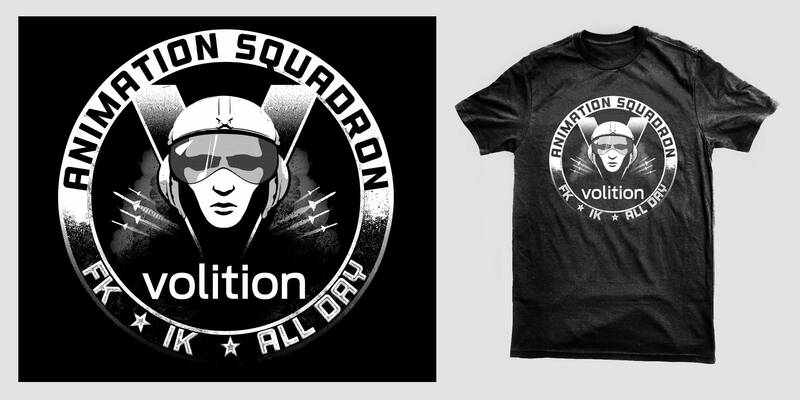 I was contracted to design a departmental t-shirt for the animation team at Deep Silver Volition, the game studio behind the Saints Row and Red Faction franchises. 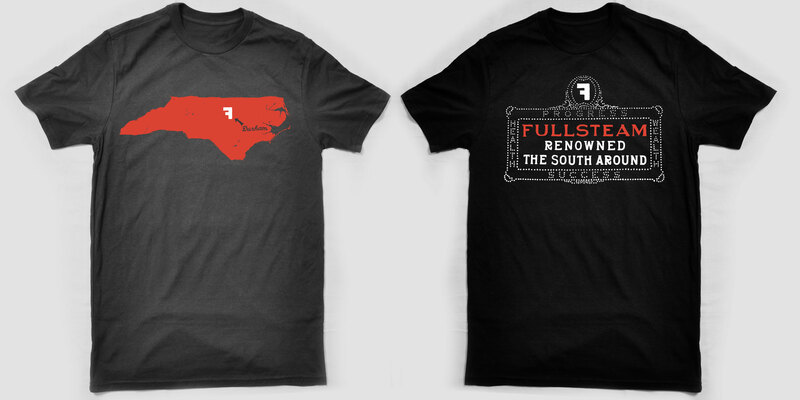 I was recently contracted to design a pair of t-shirts for Fullsteam, a wonderful local brewery located in Durham, NC. One shirt uses the Fullsteam backwards F to show Durham's location on a hand-drawn map of NC, and the other is based on a historic sign that once read Durham: Renowned the World Around. This year I had the pleasure of designing and animating the branding for Ansible Fest 2018, a huge community event for Ansible users. This year's Fest is located in Austin, TX, so to convey that I designed an audio equalizer style graphic that mimics the Austin skyline. 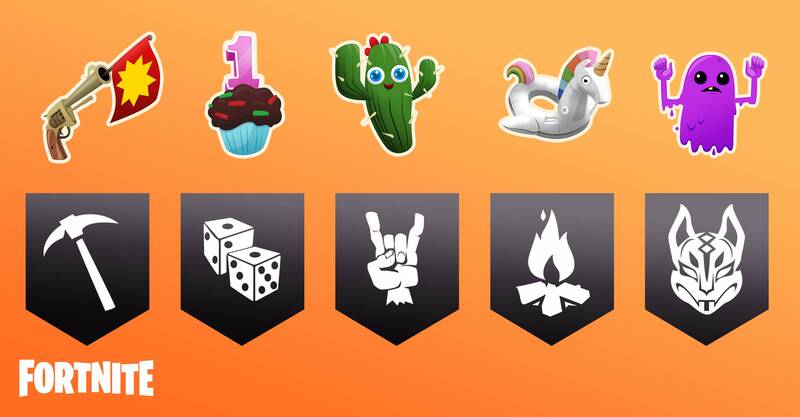 As a freelance 2D artist for Epic Games, I'm periodically contracted to design emoticons and banner icons that players can earn in the wildly popular game Fortnite. Above is a sampling of emoticons and banner graphics I've designed that have been released into the game so far. These graphics are all property of Epic Games, all rights reserved. 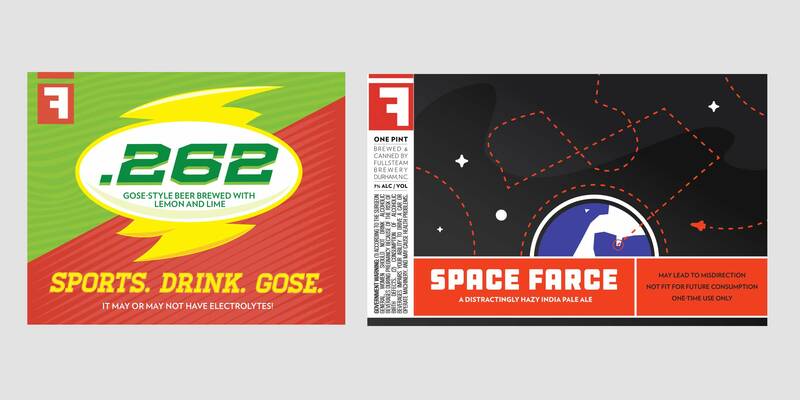 A pair of beer can labels I've designed for Fullsteam, a craft brewery based out of Durham, NC.